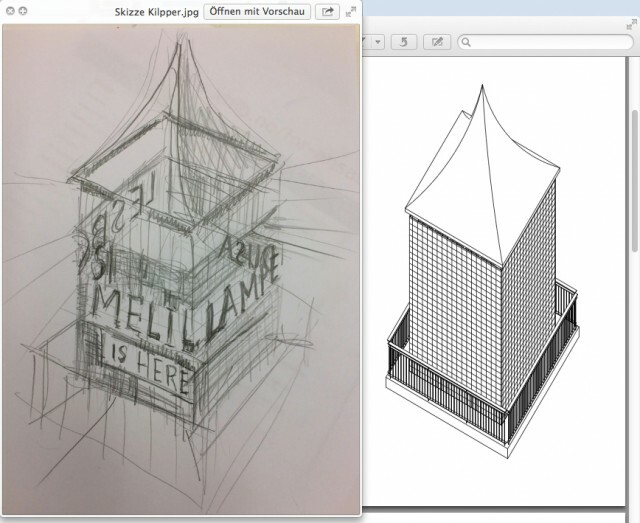 Architectural support for the installation 'Ein Leuchtturm für Lampedusa!' 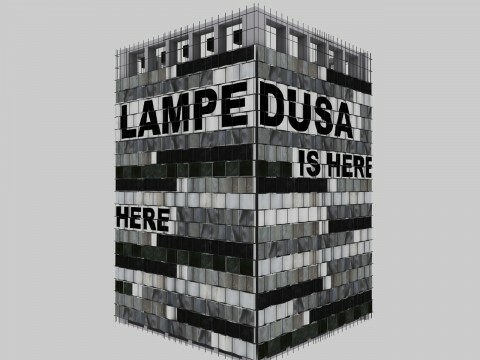 ('A Lighthouse for Lampedusa!') 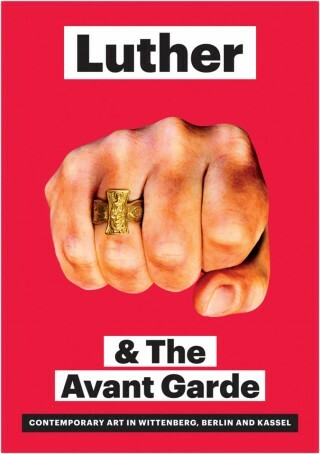 by artist Thomas Kilpper, in the framework of the exhibition 'Luther and the Avant Garde', on occasion of Martin Luther's 500th brithday. The Karlskirche with "A Lighthouse for Lampedusa!" seen from Friedrichsplatz during the construction of 'documenta 14' in June 2017. 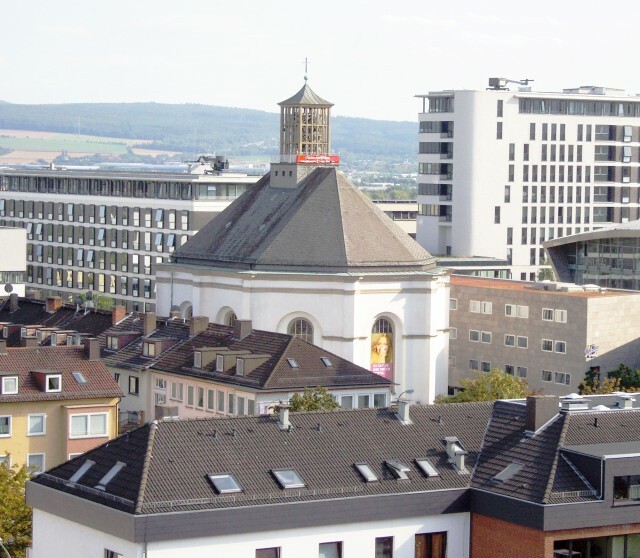 The Karlskirche in Kassel in August 2009. The church got erected in 1710 as place of worship for huguenots who had to flee from France because of their faith. 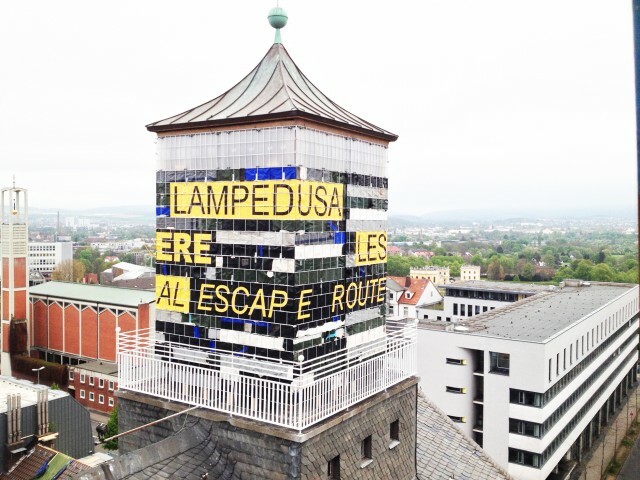 "A Lighthouse for Lampedusa" is part of the exhibition "Luther and the Avantgarde", organized by "Stiftung für Kunst und Kultur e.V. 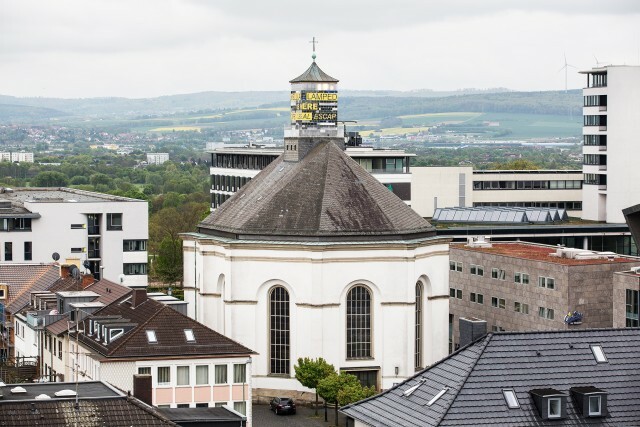 Bonn" with contributions by:Eija-Liisa Ahtila, Ai Weiwei, Art & Language, Stephan Balkenhol, Christian Boltanski, Monica Bonvicini, Maurizio Cattelan, Mat Collishaw, Olafur Eliasson, Ayse Erkmen, Elger Esser, Isa Genzken, Adrian Ghenie, Gilbert & George, Dorothee Golz, Manuel Graf, Assaf Gruber, Shilpa Gupta, Axel Heil + Roberto Ohrt, Diango Hernández, Jörg Herold, Thomas Huber, Richard Jackson, Christian Jankowski, Jia, Ilya und Emilia Kabakov, Yury Kharchenko, Thomas Kilpper & Massimo Ricciardo, Jürgen Klauke, Alexander Kluge, Korpys / Löffler, Eva Kot'átková, Olya Kroytor, Mischa Kuball, Csilla Kudor, Ulrike Kuschel, Andrey Kuzkin, Thomas Locher, Markus Lüpertz, Antje Majewski, Jonathan Meese, Olaf Metzel, Miao Xiaochun, Marzia Migliora, Achim Mohné, Christian Philipp Müller, Eko Nugroho, Pjotr Pawlenski, Ivan Plusch, Johanna Reich, Sebastian Riemer, robotlab, Julian Rosefeldt, Michael Sailstorfer, Luise Schröder, Andreas Slominski, Song Dong, Juergen Staack, Sun Xun, Jan Svenungsson, Tal R, Pascale Tayou, Günther Uecker, Paloma Varga Weisz, Cornelius Völker, Erwin Wurm, Xu Bing, Zhang Huan, Zhang Peili. I deal with the topic of flight and migration to Europe since 2007. I got concerned with this topic on the occasion of a invitation to a solo exhibition in 2007 that was realized later in 2008 in Reggio Emilia. For this exhibition i developed my project ‚A lighthouse for Lampedusa!‘, which was since then shown several times as a ‚model-sketch‘ but never entirely realized: I plan to erect a lighthouse on the most southern island of Italy which will on the one hand be visible over a long distance and serve as point of orientation - showing where’s the saving shore - and which will host a cultural center for the people living in Lampedusa on in its ground level. This should be a place of interaction and for learning from each other that at the same time sends a symbolic ‚sign of welcome‘: the project calls for a fundamental change towards a humanitarian handling of the European refugee policy. The realization would exemplarily signalize: Lampedusa does not hide and tries self-confidently to tackle the challenge of migration. 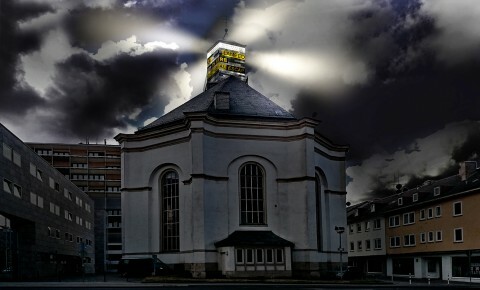 For the exhibition ‚Luther and the Avantgarde‘ at the Karlskirche in Kassel I transform the bell tower into a lighthouse. 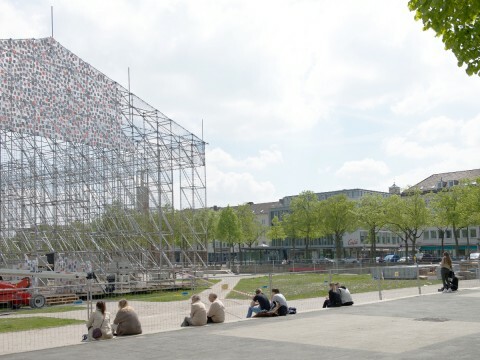 I cover the tower in materials taken from refugee boats that stranded in Sicily by cutting it into stripes and interlacing it with galvanized reinforcement mats. Additionally the short texts ‚Melilla, Lampedusa, Lesbos is here’ and ‚legal escape routes to Europe‘ are printed onto comparable material and interlaced in the same manner. The lighthouse’s lamp consists of a 60 to 75 centimeters high luminous and flashing frieze on the entire width of the towers four sides. The lamp is as light that it can also be seen during daylight. 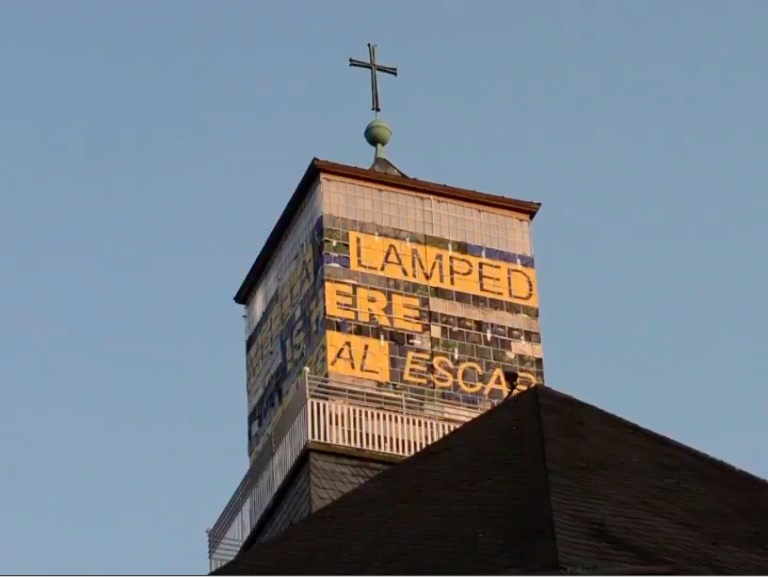 I hope it works out to erect the ‚Lighthouse for Lampedusa‘ and would be happy to contribute with it to a lively debate on crucial questions about our social composure like flight, human rights or international solidarity.